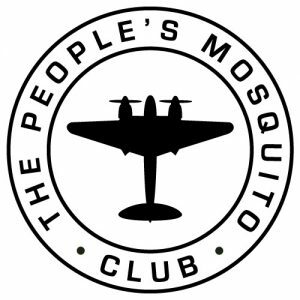 In our continuing drive to restore the De Havilland DH.98 Mosquito to British skies we are delighted to announce the launch of The People’s Mosquito Club. Joining the Club offers you the chance to become a valuable part of the UK’s most exciting restoration project – one that will see the return to British skies, through public funding, of one of the most important Allied aircraft in the fight against tyranny during the Second World War, yet one whose value remains not widely recognised. A project that will see a de Havilland Mosquito based in the UK for the first time in twenty years. Members’ benefits include an exclusive Member Card and pin badge, featuring our new Club logo; a Members’ website featuring exclusive articles and other content and a Members’ forum; a quarterly newsletter; exclusive merchandise; and through our impressive network of Affiliates, offers and discounts at certain aviation museums and organisations in the UK and around the world. Details of these will be announced in the coming weeks. Membership fees will help the project with many of the activities we need to undertake to return the Mosquito to the skies of Britain. The project has a significant budget (around £6m) and fees and income from the Club will be an important contribution in helping us achieve our goal. We are offering Members the chance to become part of a community of like-minded people, that has at its heart a desire to see the Mosquito recognised for the important aircraft it was, while educating the next generation and remembering those of previous generations who gave unerringly for all our freedoms. It is our hope that Members will gain a sense of ‘ownership’ of the project and of the aircraft, that is something few, in modern times, have been able to feel. Membership will initially be available in two classes: Adult Yearly Membership and Adult Life Membership. The fee for the one year’s Membership is priced at £25, and for Life Membership, £275. We hope you are as excited about this as we are, and you can find out more and join the Club by visiting www.peoplesmosquitoclub.org.uk. My brother has joined me up as a Christmas present,what a fantastic way to be involved with the mosquito project. Welcome to the TPM Club and, what we believe is one of the most interesting warbird restoration projects anywhere in the world right now. 2019 promises to be an exciting year. 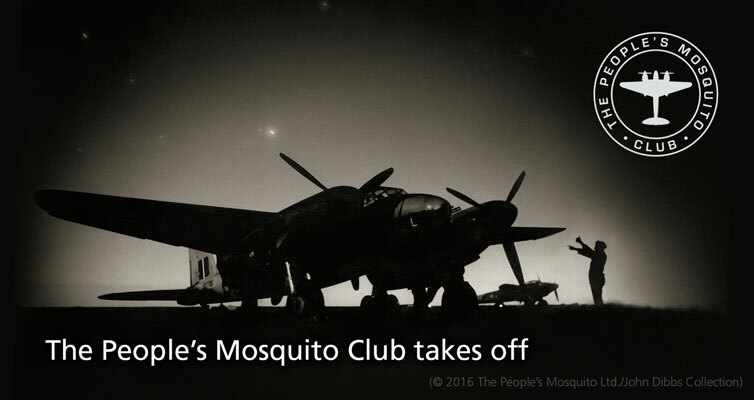 If you have any questions, please don’t hesitate to contact the team via info@peoplesmosquito.org.uk – you should finds lots of information on our main website and access all sorts of contents via our archive of Mossie Bites, our free Club journal, via the Club website. I am donating £10 a month to you. Can I be a member on that basis? I’m swapping my BBMF membership to TPMC as I feel they need my membership more at present. Sorry BBMF but I can’t afford both. Hi Steve, thanks for that great show of support – it is very much appreciated by the team. Joining as soon as my next RAF pension arrives. Thank you Gordon, your support is greatly appreciated.